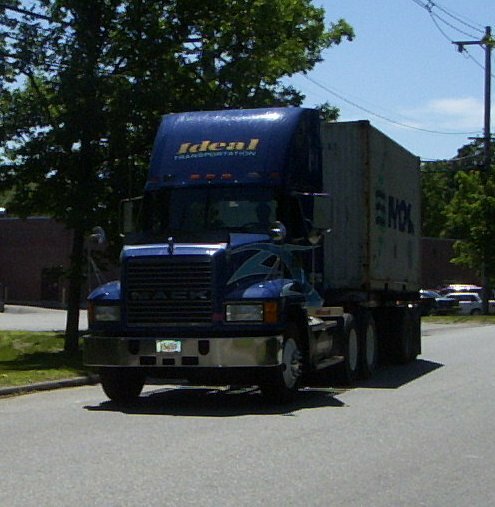 Ideal is equipped to service steamship lines with port to port trucking between the ports of Boston and New York/New Jersey or the ports of Boston and Philadelphia. Ideal's superior service is recognized by the steamship lines for whom we now do line hauls. Our reputation for "on time deliveries" far exceeds that of the competition and keeps our ocean partners content with their land transportation. Our rates are competitive but we at Ideal will never sacrifice rates for service. Ideal's record for not missing ships with export shipments by far surpasses any other trucking company in the northeast corridor and is near perfect for the tens of thousands of containers trucked between ports. We take pride in this accomplishment and strive, on a daily basis, to maintain our superior level of performance. Rates may be obtained by simply e-mailing us and telling us from what port point the container will originate and to what port point the container is to be trucked. Our knowledgeable staff is ready to serve you. Send mail to casacazi@metrocast.net with questions or comments about this web site.